UPDATE: This story has been updated to reflect the latest information from the CHP. 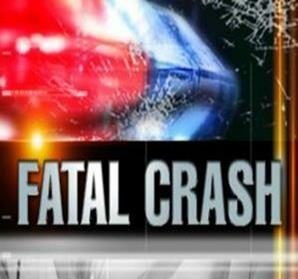 Read the updated story at: http://theavtimes.com/2018/09/03/lancaster-man-killed-two-vehicle-crash-other-driver-flees-the-scene/. LANCASTER – A motorist killed in a crash in Lancaster has been publicly identified. He was 50-year-old Duane D. Molnar of Lancaster, according to coroner’s Investigator Jerry McKibben. The crash occurred a little after 3:35 a.m. Sunday, Sept. 2, in the area of Avenue J and 90th Street West, the California Highway Patrol said. The motorist, now identified as Molnar, was driving a silver BMW westbound on Avenue J when the vehicle crashed into a pole, according to the CHP and sources at the scene. Molner was pronounced dead at the scene. Editor’s note [UPDATE]: CHP officials initially told City News Service that Molnar’s car hit a pole in a single-vehicle crash. However, CHP Officer J. Perkins later told KTLA that Molnar’s vehicle was possibly struck by a Subaru sedan, whose driver fled the scene on foot. [Read the KTLA story here]. We will update this story with more information when it becomes available from the CHP. 8 comments for "Lancaster man killed in traffic crash [updated]"
This has all the facts pointing to an illegal fleeing the scene! Illegals have been doing this hit and run more and more often. Innocent United States citizens are being left with thousands of dollars in debt, hospital bills, a totaled car, and possibly death in some cases. These kinds of accidents and tragedies can be minimized if we deport all the illegals and build the wall now! This was NOT A SOLO VEHICLE CRASH. My husband was struck by a person who ran the stop sign at 90th and J then that person fled the scene. I’m so sorry for your loss and the additional pain of the release of wrongful information. Please correct this story. He was broadsided by another car and the person who hit him ran. It was not a solo accident, it was a hit and run. THANK YOU!!! The monster who did this is still out there. Hit & Run, not a solo crash. A Subaru ran stop sign & hit the BMW, BMW driver dead on scene, Subaru driver fled scene on foot. The initial call came out on scanner as a hit and run, not a solo accident. Also his wife is on FB begging for anyone who saw this happen and saw the other driver, to please come forward.